This Roman Nero costume Includes the long robe with toga drape, and belt. The drape and belt of this Roman costume are finely trimmed with gold metallic braid, and jewels. 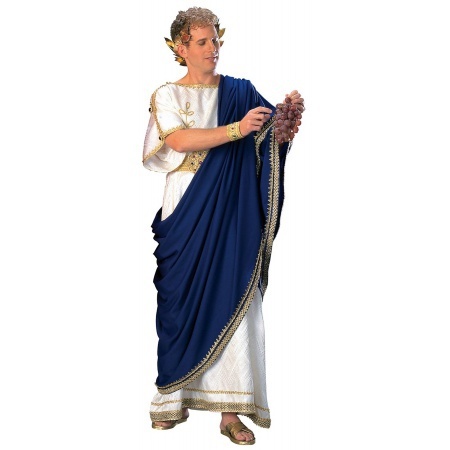 This Roman emperor costume comes in adult sizes Standard, X-Large. Makes a perfect Caesar costume, Roman Emperor costume or a Greek god Dionysus costume. 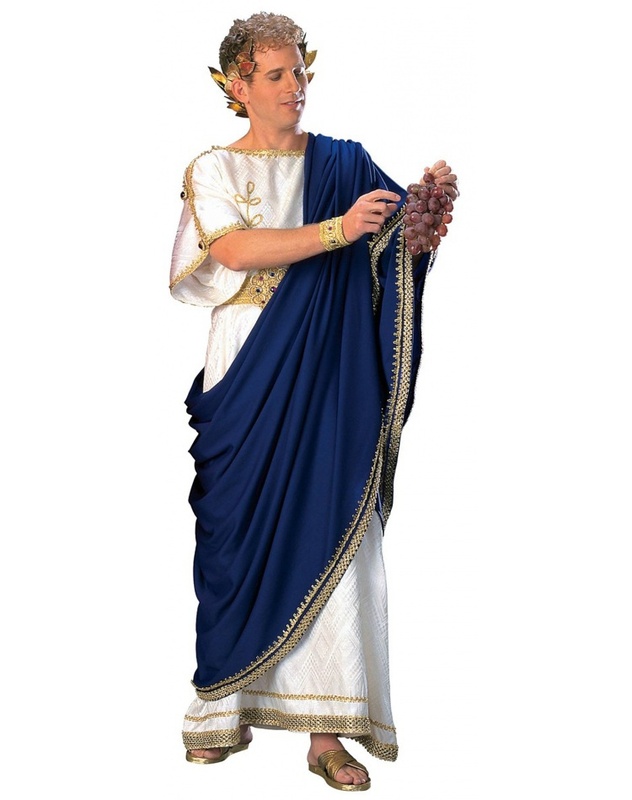 Head wreath and grapes are not included with this deluxe toga costume.